Thermo International worked directly with the Transistor manufacturers to create a proprietary transistor that provides greater capabilities with less switching losses at the frequencies we run in. They are also an ideal alternative for all legacy machines when all transistors are replaced with this superior product. 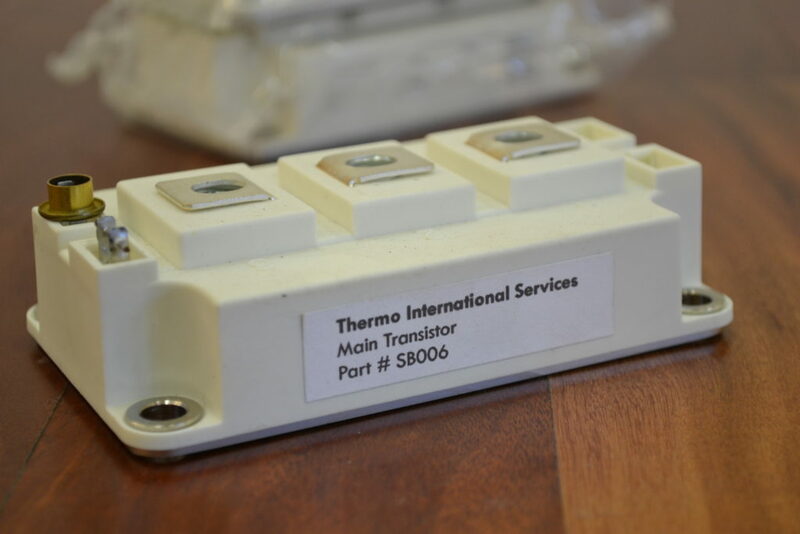 Thermo International stocks many transistors for Legacy machines including all Bone Frontier machines and we can cross reference Bone numbers for you. Give us a call and we guarantee we can beat your OEM suppliers pricing. 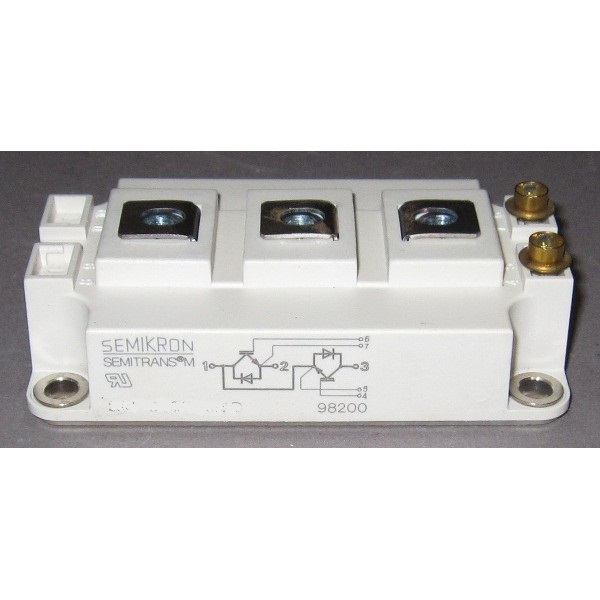 Our main Transistor used in all of our machines is used as a solid state circuit breaker. 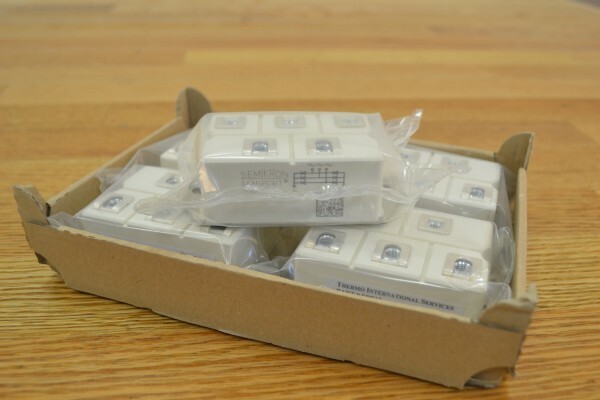 These are in stock at all times for imidiate shipment. 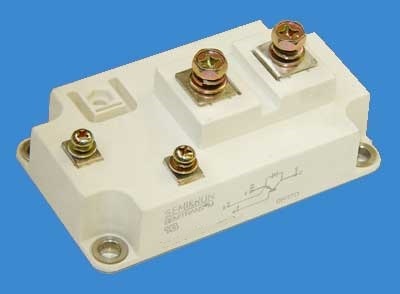 These Rectifier Modules are used in some Legacy machines. They are always in stock. 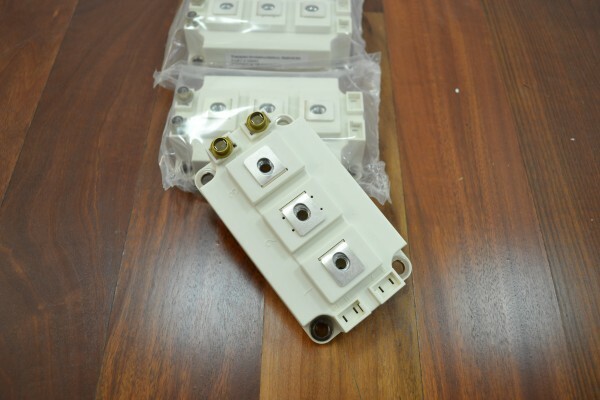 Rectifier Pack for the ISoo1 as well as IS006 and IS026 machines. 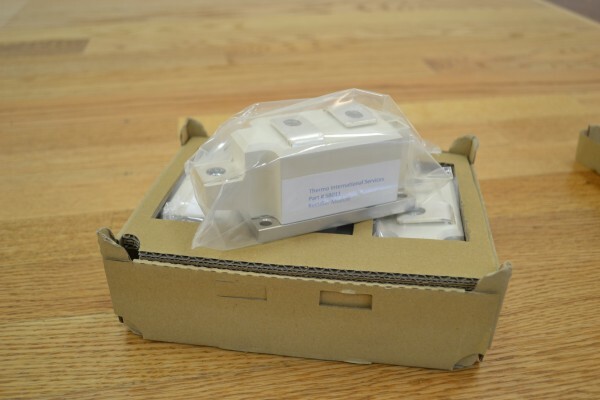 These Rectifier packs take the incoming 3 phase and rectify it to DC supplying the Rectifier Buss voltage. They are also used in many Legacy machines and may be a direct drop in replacement.